Olive Schreiner, who was born in 1855 in South Africa, has become a central literary figure for thinking about the complex debates surrounding gender, imperialism and class between 1880 and 1920. Aesthetically bold and politically passionate, Schreiner wrote novels, short stories, lyrical fragments she called dreams, as well as non-fiction and political polemic. 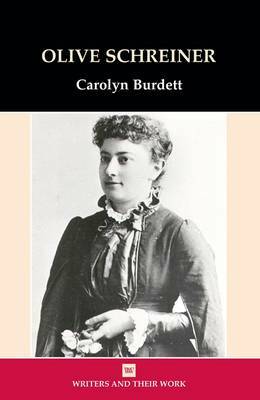 Her work is widely acknowledged as a significant, though unconventional, contribution to the 'New Woman' debates of the fin de siecle, while her anti-imperialism helped to challenge and reshape feminist thinking. This volume explores Schreiner's contribution to these debates, while also focusing on the shaping influence of both religion and science on her work. It discusses the range of her work, including her novels, The Story of an African Farm, Undine, and From Man to Man; her feminist tract Woman and Labour and short fictions and allegories about the position of women; and her diverse writings about South Africa, her country of birth.